- Standart-use 35 mm rail compact overtravel type. - A Sky original product, developed by making the 3531 model (thickness 19.2 mm) more than 6 mm slimmer. - The inner member can be disconnected through disconnect spring operation. 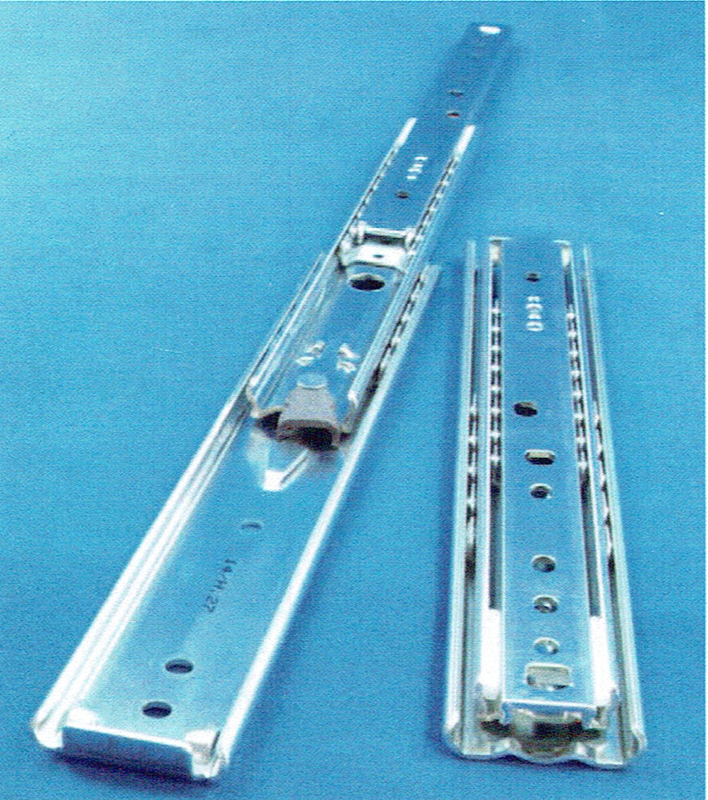 - Two types of disconnect springs, with differing lock release methodes at closing , available. For details, confirm with the disconnect spring selection method (above the dimension figure). - JX Nippon Oil Energy EPNOC Grease AP(N)2. - Part number (1) (2) (3) (9) : Electrogalvanizing (trivalent bright chromate).